A PDXpert PLM subscription license is significantly less expensive than public cloud-based PLM solutions. You'll also get tighter control of your product data, faster performance, and more flexible operation and upgrade schedules. A PDXpert subscription minimizes your up-front cost while providing the operational advantages of keeping your proprietary data on-site. Buy what you need now, and adjust your subscription as your requirements change. Purchase your PLM software as a subscription. Maintain mission-critical product data under your own control. Enjoy LAN-based performance that is up to 1000 times faster than across the Internet. Choose to accept — or delay — a software upgrade at your convenience. Use low-cost, commonly-available hardware and software. PDXpert also gives you the flexibility to use an in-house server or a third-party hosting solution. On the public internet or an unsecured Wi-Fi, PDXpert's advanced forward secrecy encryption eliminates the need for a dedicated VPN. It's also faster and more secure than simple TLS/SSL-enabled websites, protecting your proprietary information while avoiding the hacking risks of a multi-tenant cloud PLM. 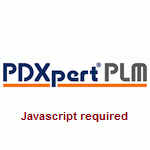 Unlike SaaS PLM software, on-site PDXpert PLM provides the best data access control, system availability, performance, and operational flexibility. Which of these features are important to you? Some features may be affected by the dedicated server or managed hosting service that you choose. May require multiple providers to ensure redundancy (fault tolerance) and diversity (survivability). A 99.5% uptime guarantee may only cover unscheduled events. For example, SaaS acceptable downtime = [(20 min/day scheduled) + (1420 min/day x 0.5% unscheduled)] x 365 days = 9891.5 minutes per year. With advance notice, additional SaaS service downtime is defined as "scheduled" and can be imposed without penalty. Now add downtime associated with network service or other failures to your facility. If an off-site solution makes sense — whether for multi-office access or to off-load operational management tasks — then consider a third-party Windows dedicated hosting solution [search]. Install the PDXpert system and database on a remote server, with the PDXpert client application running on local workstations and laptops. You'll enjoy all the rich drag-and-drop features and high-performance caching of the PDXpert client while keeping your sensitive product data under your own control. Unlike SaaS solutions, you can easily change hosting providers or choose to bring the server back on site. In most cases, installing the PDXpert server on a dedicated host is less expensive than cloud PLM software, particularly as your data grows. SaaS PLM requires a complex IT infrastructure, expensive 24x7 staffing and rigid maintenance schedules. Multi-tenant architectures demand additional security to isolate clients' data, and require system-wide upgrades that can't accommodate your unique development schedule. All of that extra complexity comes at a price. For example, the price-per-bit of SAN-based disk space and its high-speed infrastructure can be 10 times the cost of standard data storage. This added complexity of public cloud computing relies on new and emerging technologies. As a result, the most experienced development resources may be diverted to working on the SaaS plumbing - and not on improving your PLM experience. Our proven on-site deployment — or a private cloud — provides the lowest cost over time as well as the most control over system configuration, data security, and scheduling your backups, upgrades and user training. See for yourself: a complete PDXpert system costs less than half of an off-site PLM service. Just how important is your product data? SaaS PLM providers know exactly how many design files you've saved, how many change notices you've processed, how often you revise your BOMs. What else do they know about your products? Off-site cloud-based PLM solutions are inherently riskier than an on-site or private cloud PDXpert system. You're handing your mission-critical data to an outside supplier who must expose your product data to the Internet. And that supplier has processes, people and infrastructure that you can't interview, monitor or control. How can you be certain what will happen to your data, who has access to it, or how easy it will be to recover if you decide to change your supplier? Obviously, cloud PLM is attractive to industrial hackers. Ironically, SaaS PLM providers publicly announce their new subscribers — and what intellectual property can now be targeted. Shared systems make spear-phishing easier, expanding the attack surface. Even when your company's data isn't the first objective, a multi-tenant architecture offers wide scope for bad actors after the initial breach. Similarly, a denial of service attack affects everyone on the system. It is not a good idea to put sensitive data out in the cloud right now.... [We were] frequently able to find all of the credentials required to access corporate data stored on the cloud. If you look closely at the agreements, you'll see that the provider makes no guarantee that the data stored in the service will stay safe. Beyond issues of cost and security, there are the practical considerations of moving complex engineering data across the internet. A cloud-based PLM system involves many participants. Aside from your PLM provider's system reliability, for mission-critical data you should consider redundant connections to ensure reliability. In some areas, multiple telecom providers aren't available, limiting how much redundancy is even possible. Backups are not necessarily automatic, comprehensive or encrypted. While your company's internal network may run at 100Mbps or 1Gbps, most external connections will rely on relatively slow telecom connections. If your external connections are already fully utilized, your cloud data may require added bandwidth to keep up with your product data's growth. Web servers belong in the public cloud. But things like databases — that need really high performance, in terms of I/O and reading and writing to memory — really belong on bare-metal servers or private setups. PDXpert PLM software is uniquely crafted to meet the needs of growing companies, with a comprehensive set of features and a simple evaluation and purchase process. We offer both perpetual and subscription licenses, which let you configure the software to your exact needs. You have complete control over performance, storage costs, maintenance and service interruptions, and - most important - your critical product data. "The 'secret sauce' of how we make our product is on this system. If it was ever infiltrated, we would be in trouble. In this era of hackers, we are interested in the ability to control the software to do what we need it to do within our firewall and security processes, rather than rely on a hosted system." - IT manager, Infinera Corp.